When you get a cold your instincts may tell you rush to the doctors and get an antibiotic, now by all means if you are feeling very poorly or if you have any underlying issues make an appointment with your doctor, however if it is simply a cold virus the best action to take is rest up as much as possible, drink plenty of fluids, increase your Vitamin-C intake and add moisture to the air, as you are doing that why not add these oils to help boost your immunity, fight off a cough and congestion and help kill those airborne germs. Essential oils have known antibacterial and antiviral properties making them very useful during the cold and flu season. In most cases, the essential oils can provide a layer of protection in the air while other oils can help alleviate common symptoms while supporting the healing process. 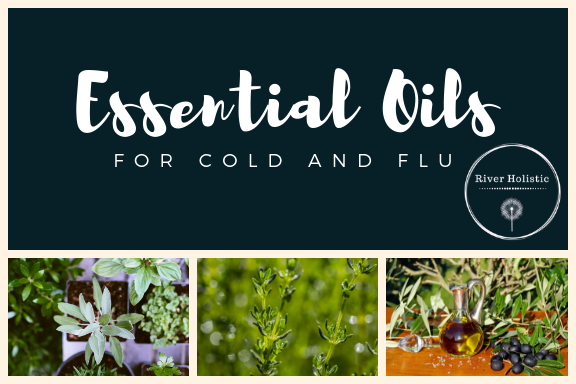 There are many ways to use essential oils to fight off colds and flu during their peak months. Here are a few ways to use essential oils to neutralize air borne illnesses. There are many different ways to use essential oils around the home and office. Diffusing is perhaps one of the best ways to benefit from the effects of essential oils. You have a few options of diffusion. There are cold water diffusers, oil burners, a bowl of hot water and add a few drops of the oils or a good one if you don’t have any of the above is to get a wet facecloth and soak in a bowl with the oils and apply to your radiator. But how do you know which ones work best? Some of the strongest germ-fighting oils come from plants. These include cinnamon, thyme, clove, tea tree and oregano. Combine these powerful oils with those known to support the immune system such as lavender, eucalyptus and any citrus oils like lemon, lime and orange. Many of these deter the growth of viruses and should be used during the weeks you tend to stay indoors because of cooler weather. One useful way to fight congestion is to create a tissue or cotton ball breathing aid. Use a small pack of tissues or cotton balls and place six drops of eucalyptus oil and four drops of lavender oil in a few different areas in the tissues or cotton balls. Place them into a zip lock bag and seal it. Put it in your bag and take it along with you if you are fighting off a cold. When you feel congestion coming on, take them and hold it up close to your nose. Breathe deeply. This will help alleviate congestion. Peppermint and eucalyptus oil can both help open the airways. You can use them separately or together for sinus congestion, lung congestion, or for respiratory issues of any kind. Eucalyptus oil as a nasal decongestant works exceptionally well. Those with chronic chest congestion issues like bronchitis and COPD, elderly people, or anyone pregnant or nursing should choose Eucalyptus radiata. Don’t use eucalyptus this way for children. Create your own effective balm to help fight off congestion and coughing. Use a dark jar (as essential oils need to be kept out direct sunlight) to mix these essential oils. Eucalyptus helps fight congestion as well as coughing; thyme is extremely antiviral. Lavender fights viruses and bacteria and helps promote relaxation. Rub about a teaspoon of the mix on your chest before going to bed. It can help you get some much-needed rest and breathe easier. Here is a great aromatherapy immune system booster to keep you feeling your best you can make up wither a roller ball bottle blend using coconut oil and the following oils. Here’s a list of some of the most popular oils. It’s a good idea to keep these versatile oils on hand for a lot of different reasons, but they are beneficial for helping soothe symptoms and in some instances to use for home remedies. Peppermint can help soothe headaches, relieve congestion and sometimes relieve a fever. Dilute it with a carrier oil and apply it to the chest, bottoms of your feet or temples. Lemon is a natural and effective decongestant and has antiviral properties. Oregano is thought to be antibacterial, anti-parasitic, antiviral and antifungal. Diffuse it or put it in a vaporizer. Lavender can aid with relief of cold and flu symptoms while it helps relax muscles and ease a headache. Eucalyptus helps ease the respiratory system during a bout with the flu or a cold. Create a soothing rub by blending it with a carrier oil. It can be used as an ointment. Rub it on our chest and shoulders for cough relief. Cinnamon Essential oil of cinnamon has powerful antifungal and antioxidant properties that help bolster the body’s immune system. A little bit of this essential oil, however, goes a long way. It has a richer scent than the ground spice, but it’s an essential oil you’ll want to use—even a small amount is effective, and the aroma is comforting. Clove essential oil is a rich spice that adds warmth to a cold and flu blend while opening nasal airways and improving breathing. Clove is also an excellent companion oil that will boost the scent of other spices or sweeten the sharpness of eucalyptus. Just a drop or two, though—like cinnamon, clove’s robust aroma can overpower. These distinct spice oils (clove and cinnamon) will help you avoid getting sick when it seems as if everyone is sneezing in your direction. Black Pepper less aggressive than cinnamon or clove, yet still effective for easing influenza’s aches and pains, black pepper is a woodsy, green aromatic that smells very little like the table spice, but offers a similar stimulating kick. Blend it with other essential oils to tackle bugs and viruses and add a bright scent to the mix. Grand Fir is a decongestant that also offers anti-inflammatory and pain-reducing properties, especially when combined with clove. Grand fir can be added to a massage oil blend or to a bath (along with a carrier oil) to relieve achy muscles and joints associated with seasonal colds or the flu. Geranium Many people enjoy the smell of geranium. But the scent is just one of its many charms. It is antiseptic and antibacterial, which not only makes it great in blends but can help you disinfect the air and surfaces in your home. Geranium is relaxing as well and can help mask the odor of more medicinal oils that may be in blends for sickness. Lemon oil helps invigorate the lymphatic system, which can be sluggish in times of illness. It may surprise you to know that even though the scent is stimulating, this oil is quite calming and can actually act as a mild stimulant. This is a photosensitizing oil, and should not be used on the skin undiluted or before going out in the sun. Peppermint Along with ginger, peppermint tea has long been used to reduce nausea and make people feel better. If you have been exposed to oils for any length of time, I’m sure you’ve heard someone recommend peppermint oil for coughs at some point. Many commercial supplements contain peppermint. It can help for a variety of ailments including gastrointestinal issues, respiratory and sinus infections, and coughs and colds. Rosemary is one of those oils to have on hand all of the time. It can help soothe aches and pains that come with the cold and flu and is helpful to diffuse for a cough. Not only this, it can help calm anxiety that may be plaguing you while you’re ill and can help ease your pounding head as well. Thyme Both of these oils are a good choice. There are numerous variations and chemotypes of thyme. Both of these have antibacterial, antiviral, and antifungal properties. 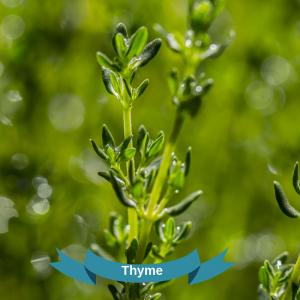 Thyme has been used throughout history for medicinal purposes. Hippocrates even recommended the herb for respiratory conditions, and we can still benefit from it today. You can add these blends to a diffuser or use them to make a massage oil: mix oils in a 1 oz. glass bottle with a carrier oil such as grapeseed or sweet almond oil. Here is a great aromatherapy immune system booster to keep you feeling your best you can make up using a roller ball bottle blend using coconut oil and the following oils. Healthy Tip: Make effective use of your respiratory blends. A few times daily, apply blends in a circular motion on the chest and solar plexus, the base of and behind your neck, behind your ears, and on other lymph nodes. Then place a drop under the nose to hasten the benefits of aromatherapy. Mix a teaspoon of carrier oil of choice. Rub a bit over the temples, forehead, chest, and neck areas. Mix together and add six drops to diffuse for colds. Add this mix to your diffuser or another humidifying method. This blend works well to either diffuse or add to a bowl of hot water for steam inhalation. Place your head over the bowl and a towel on the back of your head and breathe in the steam for 10 minutes or so, until the water cools. More often than not, these illnesses come with a raised temperature. Luckily, there are essential oils that are antifebrile, which means they can help reduce fevers. Add the above oils to a bath will have a cooling effect. Be sure to mix the drops with a little carrier oil or aloe vera juice before adding to the bath water, as the bath can become slippy. The above oils are appropriate for babies and children above seven months old. Just remember that with oils, less is more. Here are a handful more tips for you to get rid of that cold using essential oils. 3-8 drops of single or blended oil are suitable for a bath. Mix with a teaspoon or tablespoon of carrier or aloe vera juice first. For compresses, whether hot or cold, disperse 3-10 drops of oil in water prior to soaking. Cotton swabs or tissues only need a drop or two. Follow your diffuser instructions to determine the number of drops. For humidifiers, use up to eight drops per pint. If using a bowl of water for inhalation, only 3-5 drops are needed. 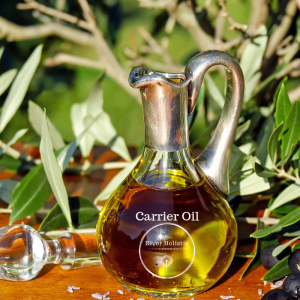 Ten to 30 drops of essential oil can be added to each ounce of carrier oil (30 mL). Use sparingly over the area being massaged. Purify the air by adding 10-20 drops of your favorite viral-busting oil or blend to a pint of water in a spray bottle. Shake well before each use. There are special circumstances to be aware of when using essential oils for congestion, colds, and the flu. Care must always be taken around particular groups of people. Babies and toddlers are especially susceptible to being harmed by oils. For instance, there have been cases of seizures due to eucalyptus oil in small children. People with asthma can have severe attacks just being around essential oils. Even recipes for breathing them in can be dangerous. Please use care when diffusing around asthmatics as well as giving them any other type of remedy involving essential oils. Anyone who is pregnant or breastfeeding should always be careful what they breathe in, ingest, or use on their body topically. While many oils are safe, others are not. Please consult with an expert on which oils you may or may not use.